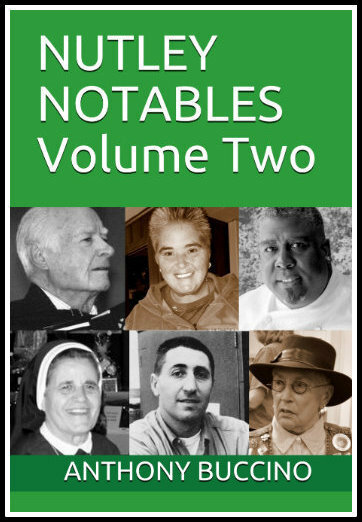 Nutley notables profiled in this volume are invited to autograph copies near their bios. A separate copy of both the Notable-signed volumes will be added to the Nutley Museum archive. Following his talks, copies of Vol. 2 and his other Nutley books will be available for autographs and purchase. 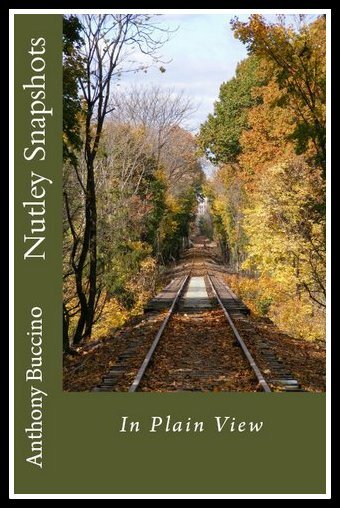 Anthony Buccino led the Walk & Talk through Nutley parks one morning in 2017 and again in 2018. Nearly two dozen walkers enjoyed the refreshing three-mile roundtrip walk from the Nutley Farmers Market through Nutley parks along the Third River to Kingsland Park and back. here made a memorable impact on Nutley, New Jersey, throughout history to today. 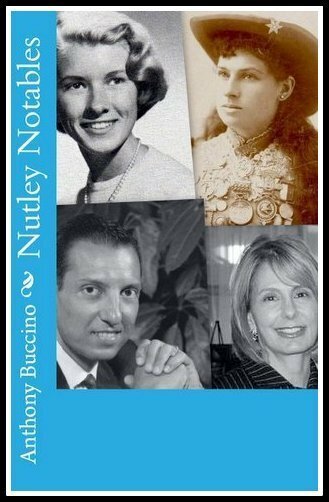 We’ve co-mingled the people with the history of our town and although you might think you know your Nutley history, there are bound to be more than a few surprises here. Biographies of the more than 130 Nutley sons who died while in service to our country. 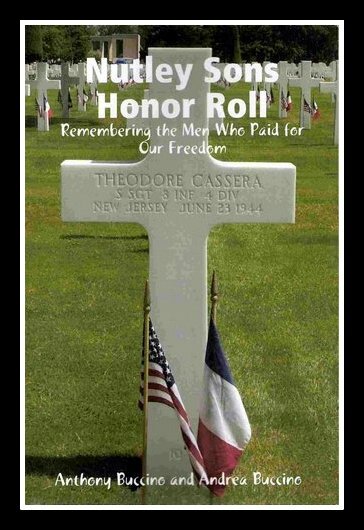 In the past century, 138 Nutley sons died while in service to our country. Three were killed in action in the Civil War, World War I took 17. World War II took 92 sons. The Korean War era took 12 sons. The Vietnam War took 9 sons, and preserving the peace during the Cold War set its toll at 8 Nutley sons. Here, in one source, beyond the names of the fallen, are their stories. Nutley, New Jersey, has accumulated a wealth of celebrated and eccentric people who over-shadowed the salt-of-the-earth folks who lived here, raised their families and built the town into the place that Norman Rockwell only dreamed of illustrating for the cover of the Saturday Evening Post. Nutley Notables includes Old West sharpshooter Annie Oakley who has a street here named in her honor; home-diva Martha Stewart who grew up on Elm Place. 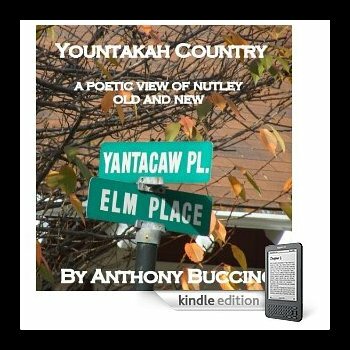 Local writer takes some history, some folk lore and some current news and mixes them together in this humorous and thoughtful collection of verse about the little town in north eastern Essex County. On these pages, Anthony Buccino brings together the Lenni Lenape, Annie Oakley and pizza wars. Buccino's poetry collections may be out of print. Special orders - send email to author. 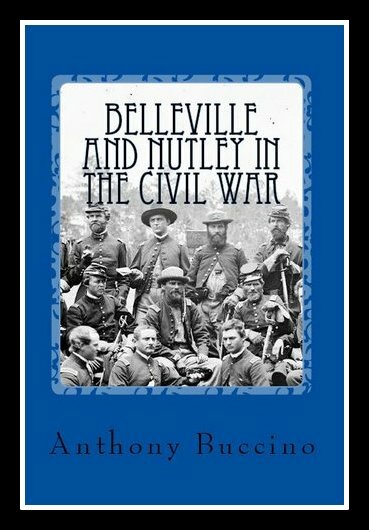 Compilation documenting the participation of the New Jersey towns of Belleville and Nutley in the American Civil War. Includes information on six local soldiers killed in action in the War Between the States, plus information on the battle campaigns in which they gave up their lives. 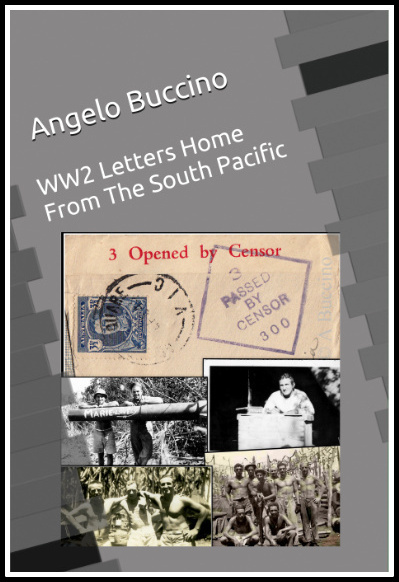 A chapbook of essays focusing on the household trials of author Anthony Buccino, based on his Rambling Round newspaper columns. Read all about Dad vs. house (hint: house wins.) Collection is a 32-page preview of full-length Rambling Round collection. Murder, Major Crime, and the Loss of Innocents.